Hello, and welcome to Synchronicity!!! Synchronicity will be a Muse and Aqours english chorus! 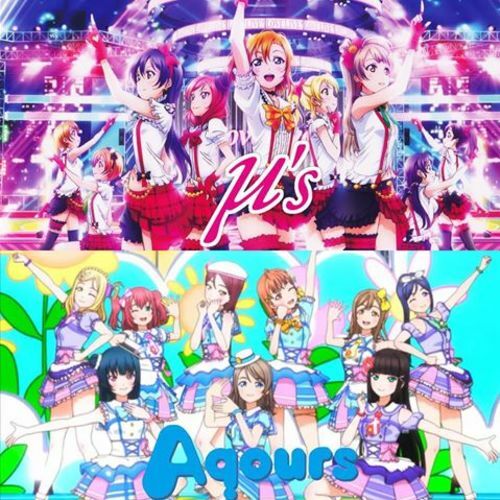 We will be covering as many songs from love live as we are able, including sub unit, year songs, solo's duets, and special units!! Obviosly I can't sing all the parts or do every single job, so that's why I need your help! If you enjoy love live, and singing, I'm sure you'll enjoy synchronicity, so why not audition? Now for some simple rules for auditioning. 1. Be kind to other auditioners. If you tink there is room for improvement, give some constructive critisism, but don't be blatantly rude or obnoxious! 2. Have a good quality microphone! It doesn't have to be perfect, but at least make sure there is no buzzing/popping! Youtube has many tutorials and tips for recording with even just an iPhone so don't worry! 3. If you don't get cast, don't worry! There are tons of projects that I'm sure would love to have you! We just may not have had room. 4. If you are auditioning for lyricist, make sure your lyrics fit and have a nice flow! Also make sure they make sense. 5. If you audition for video editor, just make sure your videos are presentable. 6. If you are auditioning for mixer, make sure your mixes sound nice and pleasing to the ear!! 7. If you get cast and do not turn in your vocals on time without a fair excuse you will be kicked. If you make too many consecutive excuses, we will have to let you go in hopes of finding someone who will be able to turn things in. Alright, now onto just a bit of base information about how the group will work. Since this chorus is muse and aqours, that means that it is possible for you to have up to two singning roles! That doesn't mean you'll get cast as two, but it is possible! As well as that, you can also take on a video editor, mixer or lyricist position alongside singing! Our debut songs will be decided by the members once we have recieved them all. Once everyone is cast, we will choose between 3 songs each so that everybody has a say in it! We hope you'll enjoy! You can email me at [redacted] with any questions! tell me about yourself!! Like your name you'd like to go by, and simple things like favorite color, best girl, best set, etc. Tell me about yourself! Like what name you want to go by, best girl, best set, favorite color, etc. Put an example of something you've mixed! Pm/email me an example of your lyrics! PM or email me an example of you work!